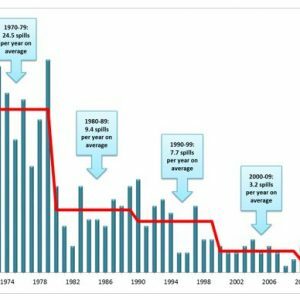 Oil Spill History and Ecotoxicology | More Beaches Closed! Holy cow! It has been a crazy day. 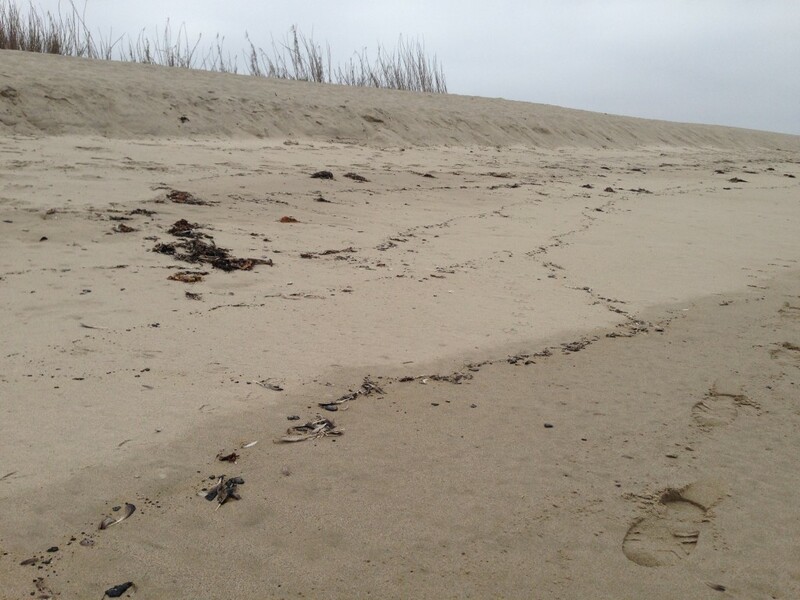 One of our teams sampling Haskell’s Beach (near the Bacara Resort) north Coal Oil Point was basically given the boot. Various clean-up teams are now sweeping the beaches from El Capitan to Goleta and the Incident Command has now shut down public access to all of those beaches. 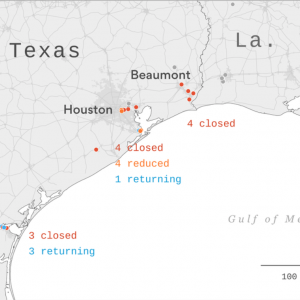 This is a huge expansion of the closure area and seems to confirm our concerns beginning mid last week that much of the oil arriving to beaches down to Coal Oil Point was indeed pipeline crude and not merely regular, background tar seep deposition. While one of our teams checking Carpinteria found nothing particularly abnormal about the tar balls there at 4pm today, we now have reports of dime-to-baseball sized tar balls washing up on several of our monitoring beaches here in our own backyards in Ventura County. It is unclear if this is related to the spill, but we RARELY IF EVER get this kind of tarring on these beaches. This is certainly an unusual event and seems very suspicious. We need to have the fingerprinting of the oil to confirm but at a minimum, this is very weird. 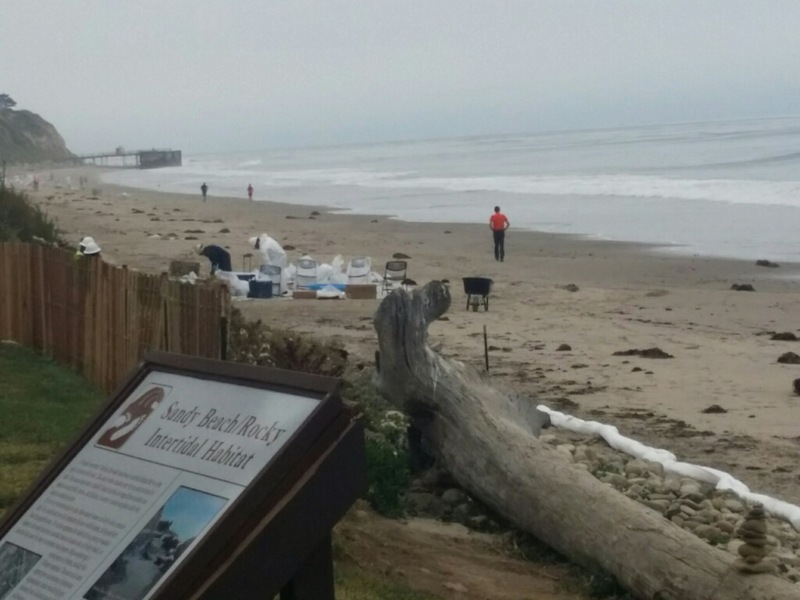 The cleanup response to the oil spill that fouled miles of beaches along the Santa Barbara County coast will now extend to Ventura County, where tar balls have been spotted on beaches, officials said Friday. 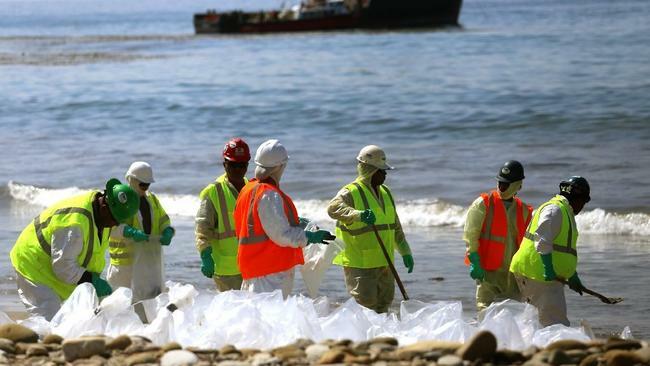 The pipeline’s owners said it will dispatch cleanup contractors to Hollywood, McGrath and San Buenaventura beaches in Ventura County, though federal authorities have not confirmed whether the oil there is from the spill. 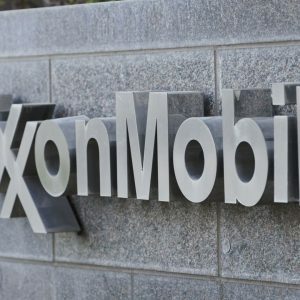 “Until we know more, we will act as if it is related to our incident,” said Rick McMichael, senior director of operations at Plains All American Pipeline, which operates the pipeline. By Friday afternoon, crews were cleaning up tar balls at San Buenaventura and McGrath. Two beaches north of Santa Barbara, also in the Channel Coast district, were closed last week after an estimated 21,000 gallons of oil spilled into the ocean off Refugio State Beach. 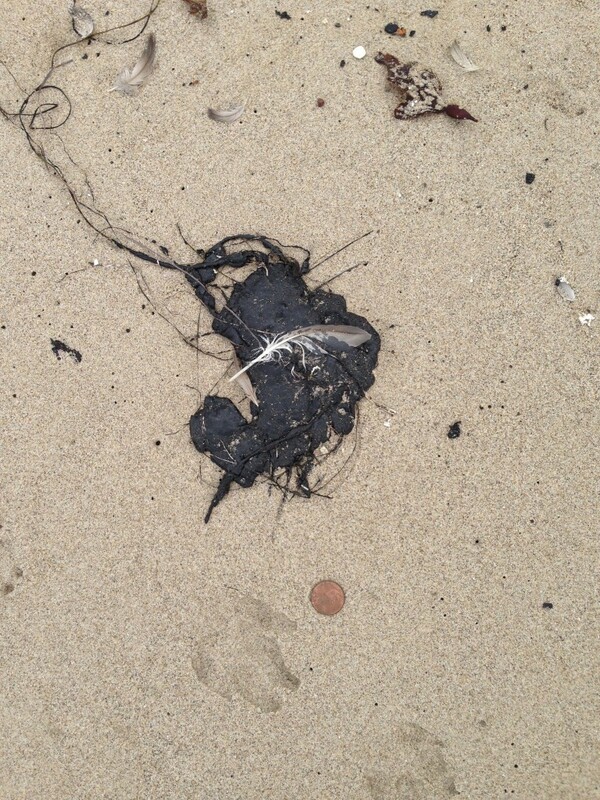 There’s no indication the tar balls on the Ventura beaches were related to that spill nearly 50 miles away. But officials don’t know where they came from at this point. “An initial analysis came back inconclusive as to what the source is,” said Kevin McGowan, manager of the Ventura County Sheriff’s Office of Emergency Services. The Emergency Operations Center has been activated to support the investigation and cleanup efforts. 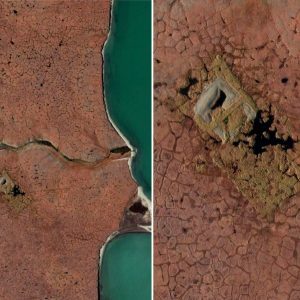 McGowan was with a team early Friday checking out the sites where the oil was reported. No closures were reported Friday afternoon. Those responding to Ventura-area beaches Friday would assess whether the tar balls need to be cleaned up. County officials said cleanup teams had been deployed to the area. 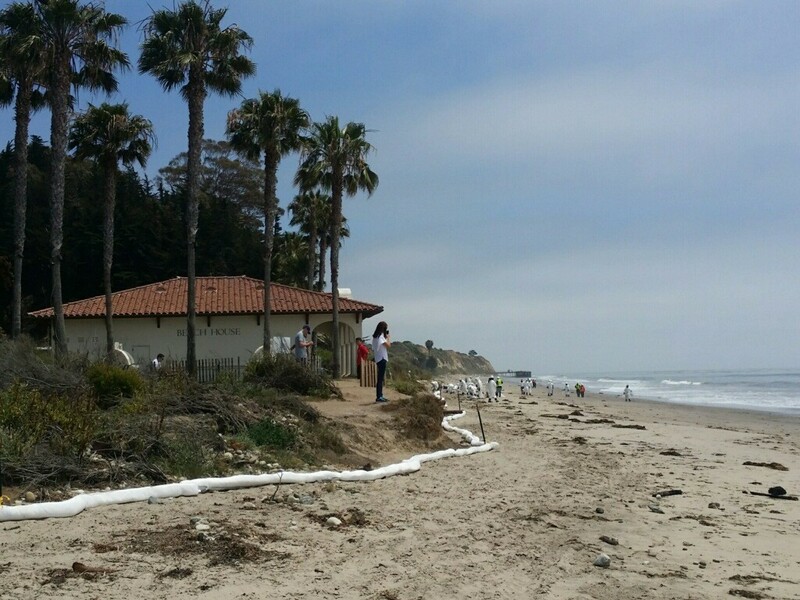 A fly-over of the ocean done as part of the cleanup efforts of the Santa Barbara County oil spill was expected to include the Ventura County area Friday. McGowan said he had not yet heard the results from Unified Command, but so far, there were no reports of oil in the water off the Ventura coast. Earlier this week, a 7-mile stretch of coastline along Santa Monica Bay was closed after globs of oily goo washed ashore. Officials said the area might reopen Friday after a two-day cleanup effort. My students are reporting lots and lots of small to medium-sized tar balls washing up on western Ventura County Beaches. 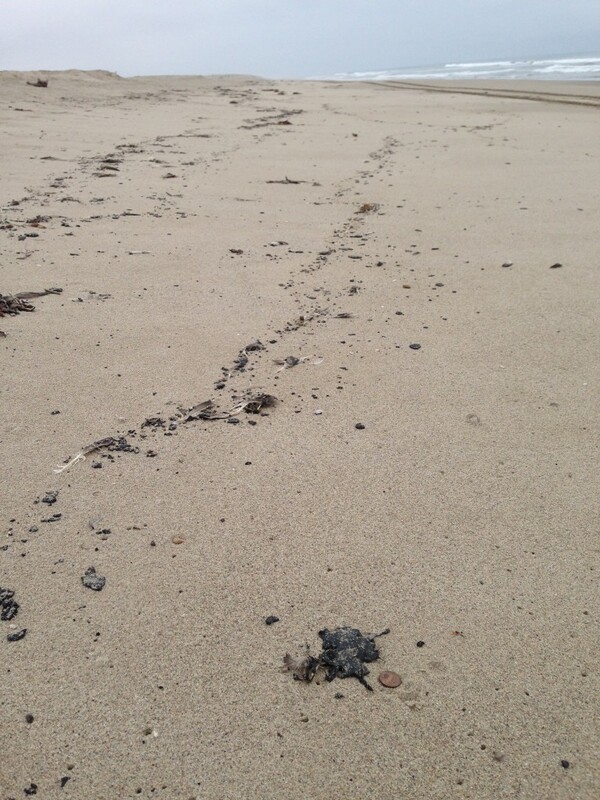 These tar balls are dense enough to begin forming a line of tar at the strand / high tide line. We are also seeing dead sand crabs (one of the foci of our sandy beach work and a keystone species for sandy beach ecology) intermixed at this tar sand line at McGrath State Beach and Emma Wood State Beach. McGrath tar ball stand line on May 29, 2015. 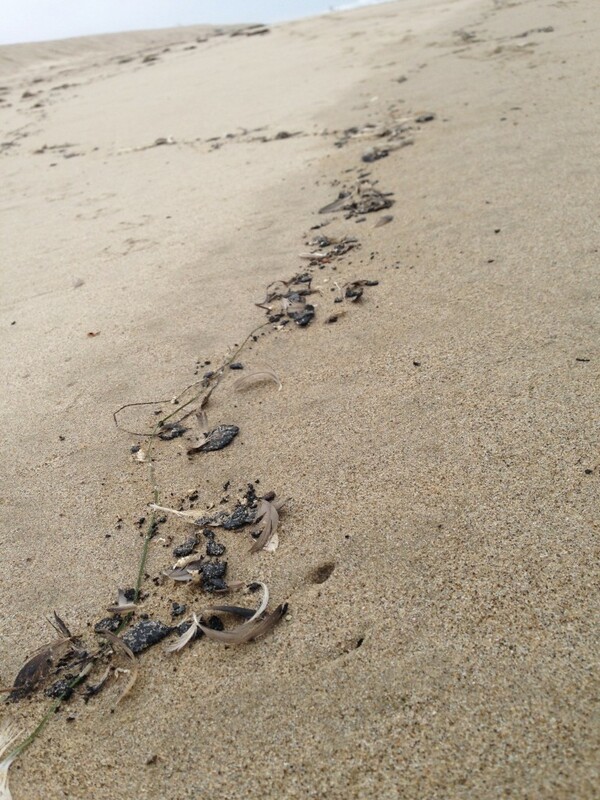 Dead sand crabs (Emerita analoga) at McGrath State Beach tar ball stand line which formed on May 29, 2015. 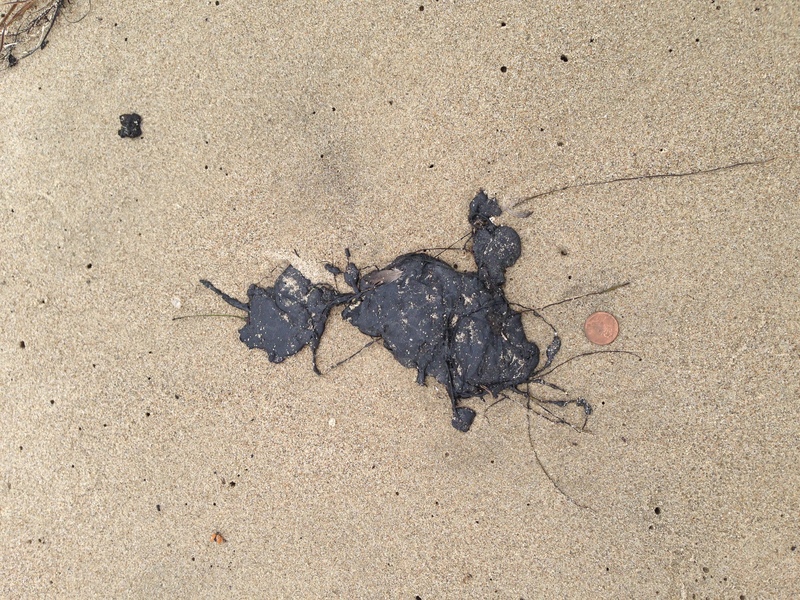 >10cm wide tar ball at McGrath State Beach tar ball stand line on May 29, 2015. Tar ball strand line at McGrath State Beach in Ventura, CA on May 29, 2015.